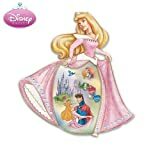 The Disney Princess Aurora, otherwise known as Sleeping Beauty has been a Disney favorite for many years. It seems appropriate to decorate a Disney Princess bedroom with all things Sleeping Beauty because, let’s face it, bedrooms are made for sleeping in! 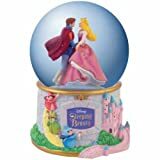 If your own little Sleeping Beauty loves the story of Princess Aurora then what about transforming her bedroom into a Sleeping Beauty bedroom or Princess Aurora bedroom (whichever name she likes to use). Before you even open the door to a Princess Aurora bedroom you need to set the tone and this door sign does that beautifully. It’s a sign that you can personalize with your own Princess’ name and has a gorgeous picture of Aurora…..and of course the obligatory Please No Boys! I can’t actually remember watching the Disney movie although I’ve been told the story many times and have read it to my own daughter and nieces. I always imagine that Princess Aurora would have a beautiful bed if she was going to be asleep for so long and a beautiful bed meant a four poster bed when I was younger. I love the look of this white four poster bed with a pink netting canope as I think it conveys a very regal place to sleep, even the Princess and the Pea wouldn’t have a problem sleeping in this! Now it’s not always economically possible to buy a four poster bed, but you can use a hoop above the bed with a netting canope like the one featured above or just a regular mosquito net that can be found in variety stores around the world. Pink or white canope drapes work well with a Sleeping Beauty theme, although with so much pink in other areas of the room my preference would be for a white drape. 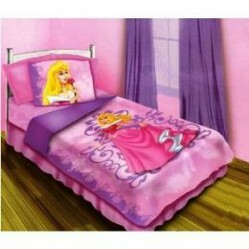 Whether or not you invest in a new bed for your daydreaming princess one thing you’ll want is to purchase some Sleeping Beauty bedding. There are a few options for you here, you could purchase the whole bedding set or you can mix and match with plain pieces. This comforter set is a nice and bright representation of Sleeping Beauty, the comforter itself makes quite a statement whereas the fitted sheet seems plain in comparison. The set featured above includes both comforter and sheets so is a great idea if you want to go all out for your little girl's bedroom. Below I've featured a beautiful Sleeping Beauty comforter that would go with either of the sheet sets I've also featured for you or really well with plain pink or white sheets. SLEEPING BEAUTY PILLOW SHAM "KEEP DREAMING"
SOFT PILLOW SHAM 20" X 26"
I love throwing decorative pillows on the bed and if your child changes her mind as to her favorite character quite often then an alternative is to create a Disney Princess bedroom and just add some Princess Aurora pillows to the bed. Another option is to use plain pink or purple bedding (why does it always have to be pink and purple for princesses???) and pop some of these decorative pillows onto the bed to create a perfect place for your own Sleeping Beauty to lay down her head. Now I don’t usually recommend buying licensed wallpaper as children can change their minds over likes and dislikes quite quickly and re-wallpapering can be expensive and time consuming. Instead I prefer to use posters or wall hangings to set the tone. Now I must admit sometimes you come across something that you think is just absolutely perfect and when I first saw this decorative wall plate I thought it was beautiful. Now it really depends on your child as to whether you’d want to put this up in their bedroom or not. My friend’s daughter would love having it up there and it would be safe, my own daughter however would probably have tried to get it down and end up breaking it! The other thing that is found on the walls are light switches and power points. For a small investment and big wow factor you can get covers for these. They’re not really necessary, but they do add a special touch to the room. Now the windows are probably the second thing that your eyes are drawn to in a bedroom after the bed so you want to add some nice window treatments. Unfortunately unlike her royal counterparts – Cinderella and Snow White – I’ve had problems finding any Sleeping Beauty drapes. What I would suggest is to use plain drapes or blinds in the colors of the bedspread or throw pillow that you use. 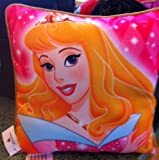 Alternatively you could add some Disney Princess drapes that include Aurora with some of the other princesses, just try and think what your daughter would prefer. Little things like a lamp, clock, photo frame and jewelry box all add to a Sleeping Beauty bedroom and will delight your child no end. 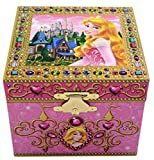 Here are a few little goodies that you could consider placing in her room along with links to yet more goodies like jewelry boxes and snow globes. Sleeping Beauty's Not The Only Disney Princess! Because there's more to girl's bedrooms than the Disney Princesses!